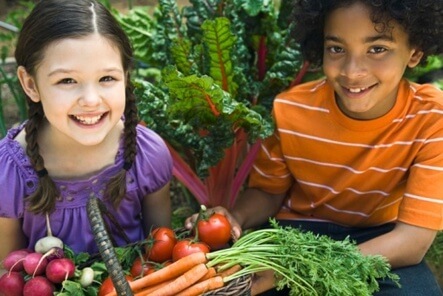 Parents often use their kids as an excuse as to why they can’t grow their own food. I mean it is what families have done for thousands of years. It’s not until recent that this trend has changed. The school year is based on the agricultural calendar. Kids were off for the summer to help tend the fields. It’s not until the past 100 or so years that families and society have placed the responsibility of providing food for their family to others. We don’t have a sense of where it came from or what’s happened to it. We just know that it’s there. Food is something that should be communal from the planting, growing, harvesting, preparing, sharing and eating. These all help to bring a real appreciation for everything that’s involved in getting it to our dinner tables. In modern times, we have skipped straight to the eating part and most people even do that on the run as if it’s another item on the to-do list. There are a bunch of fun projects that you can do as a family to keep everyone involved, costs low all while spending some quality family time together. Deciding what to grow. Have a family meeting to make this decision. Let everyone voice their opinions and come to a conclusion as a family. Potting soil. Go to your local nursery or health food store and buy some organic potting soil to get started. Starting seeds. This can be a whole fun project unto itself. There are a bunch of ways (and expensive supplies to buy) that you can be used to start your seeds, but they are not required. You just need toilet paper rolls, potting soil and your seeds. Here’s a video of how to use toilet paper rolls as a seed starter pot. Once your seeds are planted, you’ll want to keep them in a nice sunny area and keep them moist. After a week or so, you’ll start to see sprouts develop and peek their way through the soil. This should keep you and the kids entertained. Containers. If you don’t have a front or backyard to plant in, which is common, but do have a porch, patio, fire escape or balcony, you can still grow your own food. You’ll just have to use containers. I’ve found that self-watering containers work great and use them in my gardens. Caring for. As a family, you can divide up the chores of caring for your garden. These will include watering, checking for bugs and taking care of the plant. You can keep a diary and pictures of your weekly progress to chart growth to show how garden is doing. Harvesting and preparing. Once the plants are mature, you’ll have to harvest it to get it ready for your meal. Then, you’ll have to decide how you want to prepare it. Come to this decision as a family. Sharing. This is where it all comes together and becomes totally worth it. You know very well that if you made a salad for dinner and the parsley was the only ingredient that you grew, you are going to brag about it. There is nothing wrong with that. Your sense of accomplishment and pride will shine through and it will show in the food. You’ll tell everyone that you grew this parsley from seed. I’m certain that you kids will be bragging as well. There isn’t the expectation to have a huge garden. All it takes is growing that one plant to make a difference. It will bring your family closer together and make you appreciate your food that much more. What are you going to start growing? 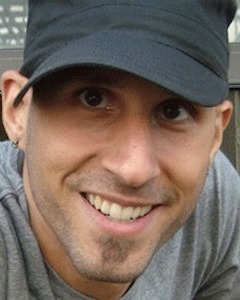 Through his blog UrbanOrganicGardener.com and social media, Mike Lieberman shares his expertise on urban gardening, green living and real food.